Hi everybody! 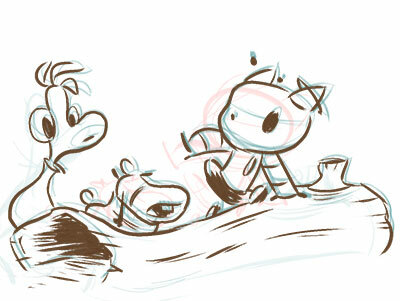 Here’s a scene from early on in Jeff and Ellie’s relationship. Still sizing each other up. 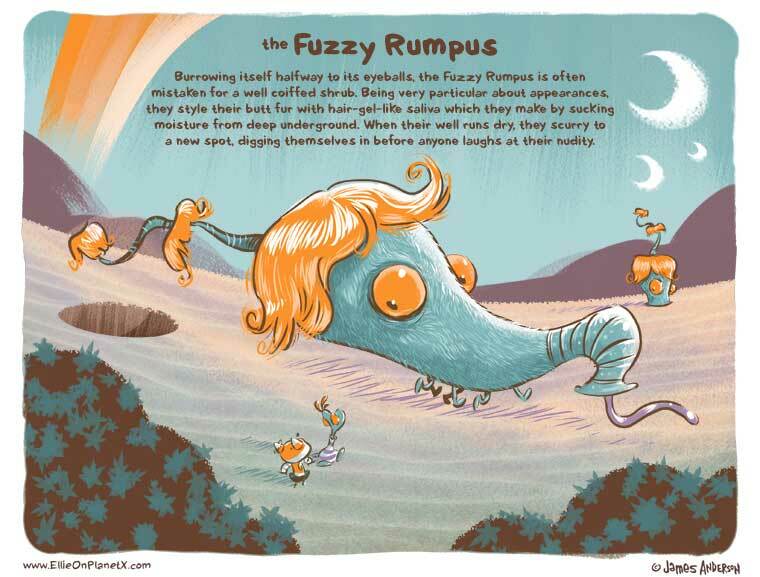 In graphic novel news, we just sent out an updated plot synopsis to my agent for his approval. Much of the story has been rewritten and I’m really happy with how far it’s come. I think you all will really like it. We still need to find a publisher and then the real work begins. I feel like I’ve been saying this for a long time. I guess I have. The publishing business can move at a snail’s pace. Just placed an order for these! We’ll let you know when they arrive. 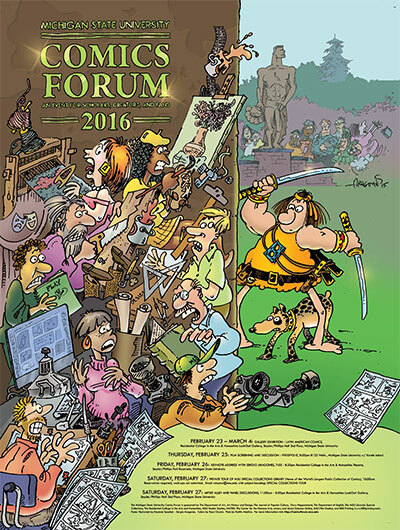 This Saturday I’ll be at the MSU Comics Forum in Lansing, MI where we’ll have some Ellie stuff for sale. Come on by and see all kinds of really awesome comic creators too! I recently did a guest comic for the return of Tom Dell’Aringa’s awesome comic Marooned! And check out his archives if you haven’t yet. There’s tons of stuff to read! While we wait for word about publishers, here’s a sneak peak at another project featuring Ellie. It’s a short story, which I’ll clue you in on more at a later date. And there’s some other big news concerning our favorite metal explorer coming up. So stay tuned! Reader KNO3 has all the good ideas. 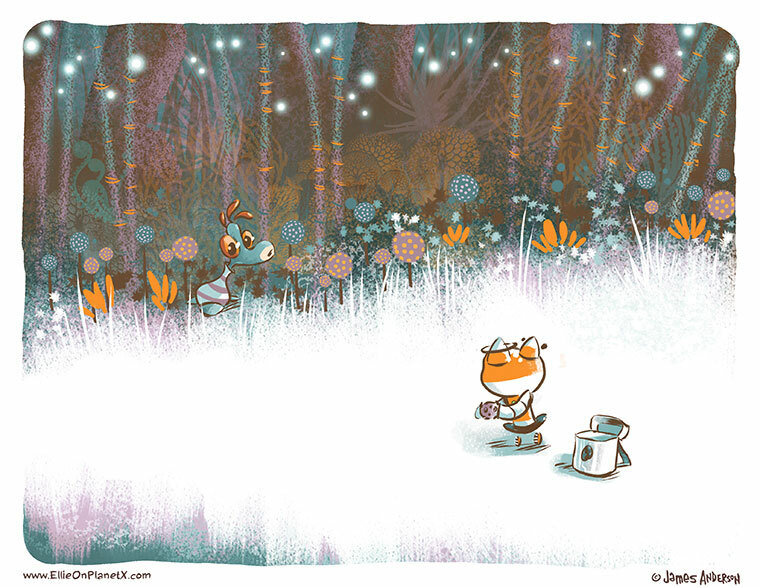 Here’s a comic-ized version of Ellie’s discovery of a new species on Planet X. 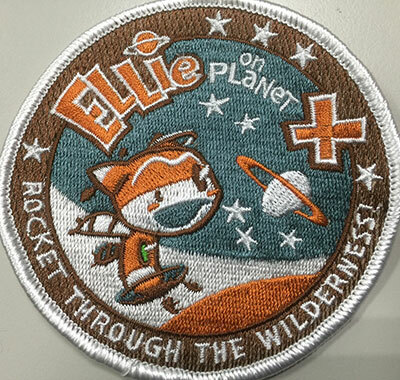 Also, for those who didn’t see, the Strang Institute is looking to make available, for a limited time only, a commemorative patch based on those sported by Ellie’s Mission Control Crew. We’ll let you know right here when they’ll be available for purchase. We’re looking at samples right now to make sure we offer only the highest quality! 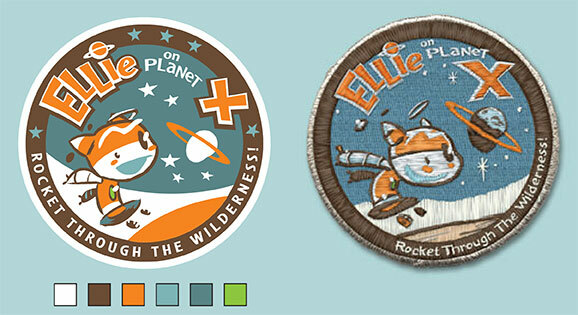 Reader KNO3 asked if we ever planned on making Ellie’s Mission Patch for you readers to purchase. Is this something you would be interested in? I’m in the process of pricing them out. I could set up a Kickstarter so there wouldn’t be any overhead. 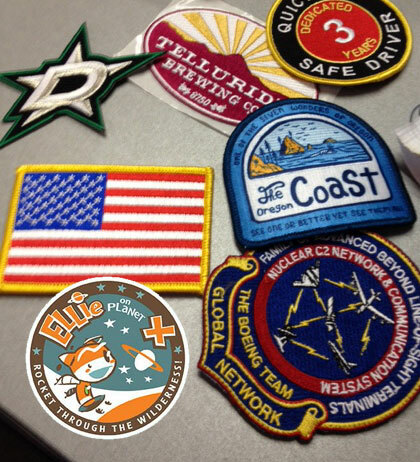 Just so you know, the original patch (below right) is no longer in use at the Strang Institute. We’re currently sporting the updated version on the left.